HOUSTON, TX, October 2, 2017 – Sentai Filmworks is proud to announce its newest addition to the Fall 2017 simulcast season: DYNAMIC CHORD. 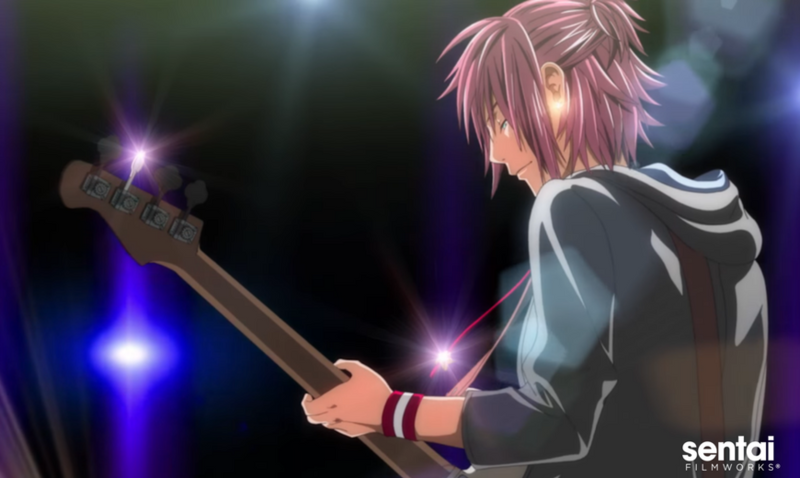 This anime adaptation of the otome game by Honeybee Black follows the professional and personal lives of four hot boy bands under the “DYNAMIC CHORD” agency and music label. There’s progressive rock band rêve parfait; newcomer Liar-S; veteran rock band KYOHSO; and international sensation, apple-polisher. Shigenori Kageyama (Himawari!) will both direct and handle series composition duties. Character designs will be helmed by Yasuomi Umetsu (Kite, Kite Liberator, Wizard Barristers: Benmashi Cecil). The show’s art director will be Shinji Katahira (Hellsing, Magical Girl Lyrical Nanoha, Restaurant to Another World), with animation production courtesy of Pierrot (Naruto, Tokyo Ghoul, Black Clover). DYNAMIC CHORD is scheduled for an October 2017 broadcast in Japan. It will soon be available to stream on HIDIVE and select digital outlets for the Fall 2017 simulcast season, with a home video release to follow.